"Penny Dreadful" surprised fans by turning its Season 3 finale into a series finale. Please, please, don't do that again. 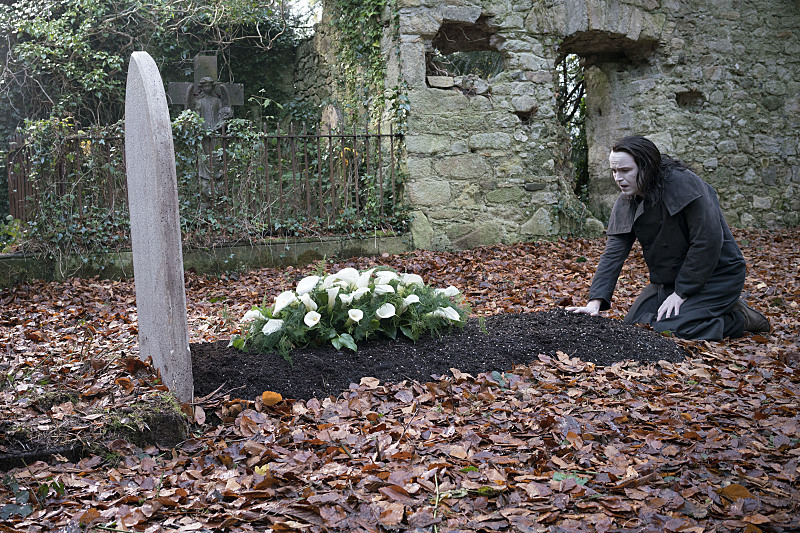 “Penny Dreadful” creator John Logan is an expert at endings. From big, sweeping dramas like “Gladiator” and “The Last Samurai,” to ongoing stories like “Skyfall” and the first two seasons of “Penny Dreadful,” Logan is a writer who always seems to hit his mark in the end. That’s why it comes as no surprise that Sunday night’s Season 3 finale of “Penny Dreadful,” “The Blessed Dark,” was a terrific episode of television – with one glaring exception. What more could one ask for in a series finale? Simple: that we knew going in it was a series finale. His destiny became hers, and Vanessa, the series’ driving force, died by Ethan’s hand. Logan’s clever character trajectory — tying his players to each other at the very end with a connection from the very beginning — lent pathos to Ethan’s plight, and Hartnett’s committed performance (peaking in an earlier scene where he confronted the person who turned him into a werewolf) sold these final moments in a meaningful, lasting way. One could argue Green deserved a bigger scene to end on, but the queen of premium television has proven herself time and time again. From a critic’s standpoint, almost anything out of the ordinary is welcome. Surprises are good because they stimulate conversation, and the conversation is what we covet when it comes to TV. So when fans saw the words “The End” appear after John Clare (the great Rory Kinnear) read one last ode to his departed friend, people certainly started talking. Was this the end? Is “Penny Dreadful” over? Yes. It’s over. But no, it’s not welcome — not like this. After nearly a year debating whether or not Jon Snow survived his “death” in the “Game of Thrones” Season 5 finale, there’s a soothing side to the finality of “Penny Dreadful.” We don’t have to wait. We don’t have to wonder. We know. It’s over. But there’s also something painful about it. We not only lost a series — which is a significant loss in this instance, even in a world of “too much TV” — but we lost a series while we were still grappling with losing Vanessa. If we knew this episode was the end ahead of time, we could have been better prepared for loss — any loss. By airing a secret series finale, fans now face a cold narrative reality where Vanessa died and a cold literal reality where “Penny Dreadful” won’t be returning. The only difference between what we saw and a cancellation is that Logan had time to write and shoot a fitting ending; a gracious gift in today’s day-and-age, but the hidden way it was delivered turned that gift into a gag. Shorter series are fine; more than fine when they’re as detailed, and downright gorgeous as “Penny Dreadful.” And, perhaps, I’m still in phase one of grief: anger. But hiding the end from fans — especially a fanbase as devoted as The Dreadfuls — just seems unnecessarily cold. Anyone watching in the future should be quite pleased with how “Penny Dreadful” wrapped up. It’s a fitting end for a series both dark and hopeful. But anyone devoted enough to be watching anywhere close to real-time are likely waking up to a rough world. And isn’t that who “Penny Dreadful” is really for?